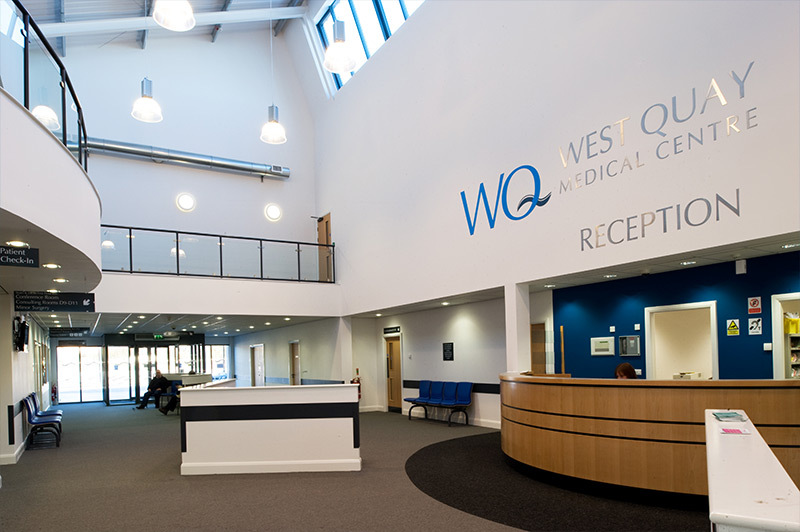 West Quay Medical Centre is located at the edge of Barry town centre, overlooking the Barry Innovation Quarter. In brand new premises, we offer the full range of local medical services. Further afield, our Rhoose branch surgery meets the needs of residents in Rhoose and the rural areas around Barry. Of course we’re not just here for when you are unwell. Our team of healthcare professionals and support staff offer a number of clinics and services to promote good health and wellbeing whatever your medical condition. From annual vaccinations against flu, to travel vaccinations, smoking cessation support and contraceptive advice, we can help meet your health needs. In addition to our own team, the Practice also supports a range of other healthcare professions including podiatry and physiotherapy as well as mental health counselling. We hope you enjoy having a look around the site and familiarising yourself with some of the online features such as ordering a repeat prescription. Whatever your thoughts, be sure to let us know via our feedback function. Comments and suggestions are always a great way of helping us continue to improve the way we look after you.